Osteoarthritis, also known as OA, is a common form of arthritis that affects many people around the world. Doctors usually diagnose this disease through the degenerative changes the affected joint undergoes. Osteoarthritis occurs when cartilage is damaged at a rate that is faster than at the rate at which it is repaired. The end result could be extreme pain for the patient along with other symptoms such as stiffness in the joint. The disease can negatively impact a patient’s quality of life. Although the exact cause has not been determined, there are certain tips that you can implement into your osteoarthritis pain management care plan. Due to the impact osteoarthritis can have in a patient’s life, effective osteoarthritis pain management is essential. Medication can leave side effects, but there are natural ways that can prevent and manage the disease. Although OA is not 100% preventable, making healthy lifestyle decisions and reducing or eliminating risk factors can improve your diagnosis considerably. 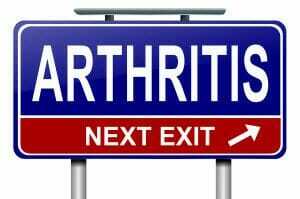 However, if a doctor has already diagnosed you with osteoarthritis, do not only rely on medications and other passive treatments. Alternative and natural therapies can improve joint function and reduce pain. When you are overweight or obese, the extra weight can add more stress on your joints. Weight loss will not only improve your joint health, it will improve your overall health. Adding a half hour of exercise to your daily schedule at least five days a week will improve your cardiovascular system. Low impact options are swimming and walking. Having chiropractic care on a regular basis can detect minor problems and correct them before they become major issues. Chiropractic adjustments can restore joint mobility. The nervous system also benefits from chiropractic adjustments. Getting the proper amount of sleep and massage therapy are two options for osteoarthritis pain management. Patients can also wear orthotic footwear that can help correct the body’s alignment and make the feet more comfortable. Dr. Renee White of Champion Chiropractic in Alpharetta, Georgia believes that regular chiropractic care can be used to treat pain and correct musculoskeletal mechanical problems. Contact her today for an appointment.